I just love seeing beautiful blooming flowers in the spring and summer. At least in my area that is the only time we see them in bloom. But now you can see them year round with this easy to make 13 ½” x 16” wall quilt. 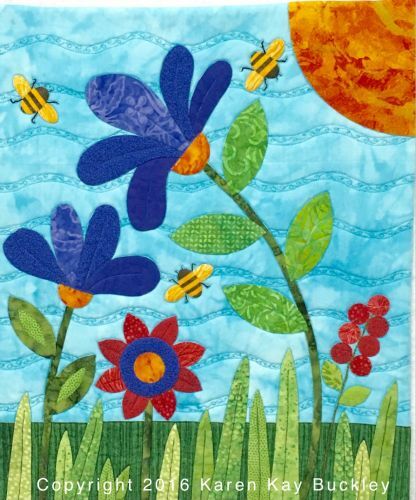 You will be thrilled with your smooth curves, sharp points and perfect circles as you begin to hand appliqué on this wonderful little project.